Your home is one of your most important investments. At Patel Landscaping we are committed to making your property its best at all times. We know what our customers need, reliable and quality service from a experienced company at a competitive price. Landscaping, Design, Maintenance, Patios, Walkways, Outer living spaces, Fertilizer programs, Turf Management, Residential and Commercial services. Josh Patel has done landscaping work for us the past several years. I have found Josh and his crew always professional, hardworking and pleasant. One particularly positive thing is that if Josh commits to something he follows through, which in my experience is often not the case with other landscaping companies. Josh is always responsive to emails which is also great. I would wholeheartedly recommend Patel Landscaping to anyone looking for a reliable, trustworthy company. Patel Landscaping has been maintaining our property for several years. We are extremely happy with the service, professionalism and results provided by the entire Patel Landscaping Team. Patel Landscaping has been wonderful to work with. They do a great job on the yard and are very reliable. They trim all the bushes on a regular schedule and edge the beds. They yard has never looked better. They also plow the driveway in the winter and turn up reliably after every snow storm. I can't recommend them highly enough. I've been very pleased with all their services. Patel Landscaping has been a lifesaver! We were planning on doing our own landscaping, but soon realized that our yard needed professional help and were are just not equipped. Josh and his crew have been extremely easy to work with and responsive. They do a great job and I am always receiving compliments how clean and well done everything looks. Plus, his pricing is completely fair. I hired Patel Landscaping in 2012. Each year he does 7 step applications and two core aerations. Applications are fertilizers with crabgrass control, weed control, grub, root builder, and lime, etc. Last year in addition to lawn treatments, he removed some existing walkway plants and replaced them with an excellent choice of new plants. This Spring I plan to have Patel Landscaping do some masonry work. 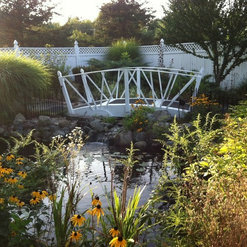 Patel Landscaping is professional, dependable and easy to discuss landscaping ideas with. We use Patel Landscaping for the regular maintenance of our yard. Josh gave us great advise as to what kind of service we need and the company provides a very good and reliable weekly service during the season. 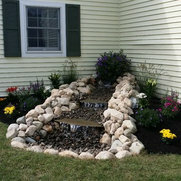 I have been a client of Patel Landscaping for more than 4 years. I have found their work to be of extremely high quality with close attention to detail. Not only do Josh Patel and his crew carry out my requests, but Josh will also suggest things that can help improve the look of my property, such as recommending a black mulch instead of dark brown and being creative when shaping my flower beds. Their work is very thorough. Highly recommended. Excellent work. Solid all around. Fast, responsive. Pleasant to work with. I hired him for lawn mowing, fall cleanup. Very pleased. We've relied on Josh's team for all our landscaping since 2013, and we're very pleased with all the work they've done to our yard. It looks great! Patel Landscaping is very professional and very reliable. I have the best looking lawn on my street. They also do a great job with mulch beds, fall and spring clean ups, and maintaining trees and shrubs. You won't find anyone who will do a better job. I had landscaping done both front and back and it came out beautiful. My home looked manicured and I received many compliments from neighbors. THen I had a brick path put in the front walkway of my home. It totally changed the look of my house and again zi received many complements about how great it looks. I am considering having Josh put a walk in the back of my house.